The 100 Day Hustle has come to a close and now it is time to see how much we all actually got done! I definitely didn't get as much done as I might have hoped, but progress is progress sometimes. COMPLETED: September 26th and entered in the Bloggers' Quilt Festival and nominated in the Bed Quilt category!!! As of October 15th: All blocks are done, picked up the setting fabric, need to start sewing into rows. As of December 31st: I haven't touched this in almost two months. Whoops. COMPLETED: October 27th and hung up in my dining room! As of December 31st: I have almost two rows completed and I think I am finally in the "hand quilting" mindset for a while. COMPLETED: October 21st and delivered! COMPLETED: October 25th and given to a sweet snuggly little boy! As of December 31st: I kind of failed on this. 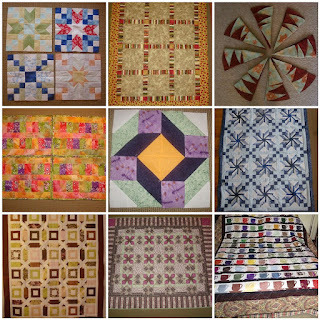 These were quilts I was debating about and now I have a couple baby quilts that I really have to make for babies in the spring. As of December 31st: I cut background squares but that's about it. This one will be a Christmas quilt next year. As of November 23rd: I took this baby home to have my mom free motion quilt it. Merry Christmas, everyone! I am home in Michigan for a whole week (!!!!) and we will hopefully start marathon sewing tomorrow! Have a wonderful day with your families and hopefully your stockings are full of fat quarters! Park Ranger Boyfriend and I LOVE Christmas. This month in Hive 4 of the Stash Bee, Debbie requested a machine applique block with owls. I had never done any machine applique before this request. Armed with my roll of Wonder Under, Wednesday night I practiced my satin stitching (like a boss) around some scrappy pieces left over from my NY beauty quilt while I watched The Avengers. I almost didn't turn my machine off because the settings were just right. Hopefully he'll be sent off today or Saturday. I'm leaving today to go to Ohio and then on to Michigan on Sunday while doing my best to avoid the snowstorm. Merry Christmas to all! Linking up with Plum and June! I finished up my half blocks last night and spent a lot of time moving blocks around so that the same colors weren't too close together. More than once all of the maroon fabrics ended up in the top half or just two rows. 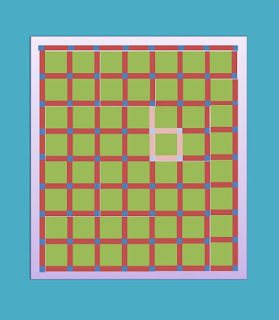 It's kind of complicated to achieve the look of random without a little bit of planning in advance. Kind of a paradox. I'm so excited about finishing this one up! I'm not sure if this one needs borders or not because it is already 48 by 64 inches. Things go a LOT faster when you make bigger blocks! Long time, no sew, makes Alison a very sad girl. Everyone getting sent home early from lab the day of the Christmas party does make up for it a little bit. But only just a little. I'm currently working on making 4 "half-blocks" to fill in those corners. 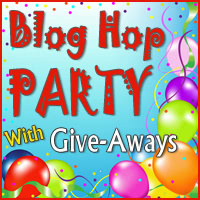 Congrats to Judy who won 50 charm squares from the Quilting Gallery Birthday Blog Hop! With Park Ranger Boyfriend here last week and my parents here this past weekend, not a whole lot of sewing has gotten done with the exception of a significant amount of hand quilting on Park Ranger Boyfriend's Civil War quilt. Almost a whole row across is done! And finally, I'm on the search for some wood grain fabric to finish up the Harry Potter quilt for my sister. If anyone could help point me in the right direction that would be fantastical! 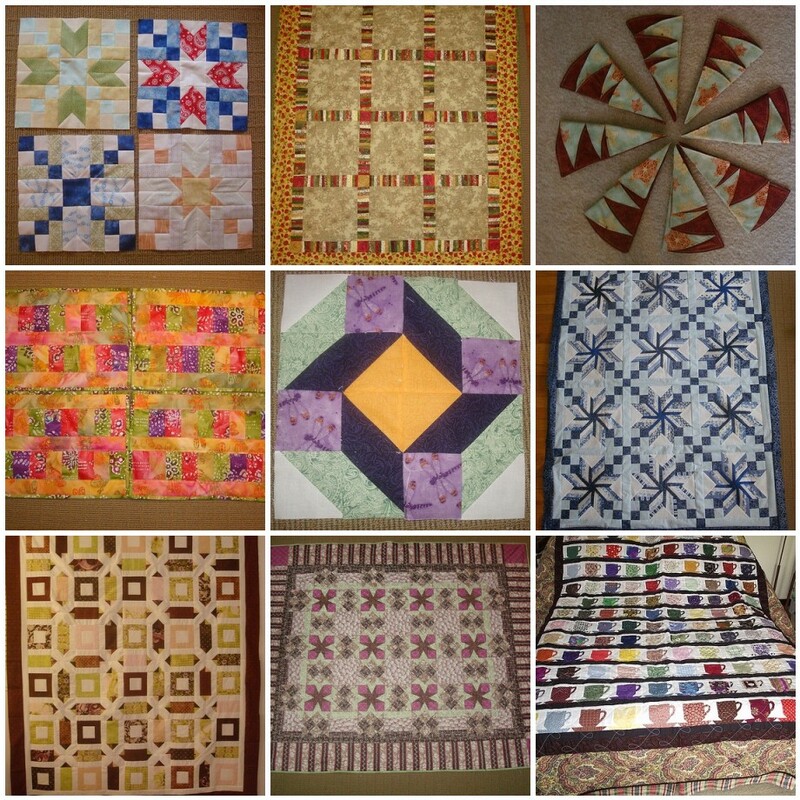 Don't forget to enter to win my Quilting Gallery blog hop giveaway! This week is the 5th birthday of the Quilting Gallery and to celebrate they have put together a blog hop of more than 150 blogs doing giveaways this week! Since it was well received last time, I am going to give away another 50 charm squares from my collection. If there are more than 250 entries I will give away another 25 charms! Update: As of Thursday morning, we have over 130 entries! Keep them coming! One entry per person this time around and in your comment, tell me about what you would do if you had a snow day tomorrow--no work, no school, no restrictions! Best of luck and please visit the rest of the blogs here starting Monday!! This giveaway will close Saturday December 15th at 5 PM! Whew! That was a long week of entering almost every Sew Mama Sew Giveaway!! Now onto the important part...announcing the TWO charm square winners! I will email you ladies in a few minutes!! Thanks to everyone for participating! There WILL be another giveaway next week so stay tuned! Have a wonderful weekend and hopefully you too win some SMS giveaways! Let me know what you win!! Happy WIP Wednesday! This past weekend, I finished up the last of the blocks of the Harry Potter Project of Doom quilt for my sister and last night I sewed all of the blocks into rows. Now to start searching for appropriate "bookcase" material to sash the rows together and use as borders. I also made a batch of these mint chocolate chip cookies for the Chemistry Department Christmas party cookie contest. They turned out delicious. And GREEN. And if you haven't entered yet, check out my Sew Mama Sew Giveaway Day post and givewaway! Giveaway is currently closed. Thanks to all who entered! Hello everybody and welcome to my FIRST giveaway ever as a part of Sew, Mama, Sew! Giveaway Day!! I'm Alison and I have been quilting for almost 10 years and I'm currently a full time graduate student in Chemistry -- quilting is like therapy for me! I have been blogging here at Little Bunny quilts since August 2011, and have loved "getting to know" so many of my fellow bloggers, especially my fellow scientists! So poke around and maybe you'll like what you see here or at least I'll make you laugh a little. I did a charm square swap over the summer and ended up with two spots so I ended up with A LOT of 5" squares and so you have the chance to win 50 of them! You'll receive 50 lovely charms to add to your stash! AND if more then 250 entries are received, I will add a second prize of 25 charms! UPDATE: Second prize of 25 charms will be given!! I hope you're feeling lucky! The giveaway will be open until 5 PM PST (8 PM EST) FRIDAY DECEMBER 7th, and I will announce the winner the next morning! I am willing to ship internationally! For one entry: Tell me about the state of your holiday decorating if you are doing any this year. I have my tree up, but it's not decorated yet! For a second entry: be an old or new follower of Little Bunny Quilts and say "I'm a _____ follower" and fill in the blank with something creative. Wow me, people! UPDATE: And I will be verifying this! Don't think you can trick me. Have fun checking out all of the Sew, Mama, Sew! giveaways this week! 24 more days until Christmas!! The sorting hat and the crest are very exciting cute. Using fabrics with gold foil and glitter was an excellent choice for this project. Bringing home more fabric from mom's scrap bin was also another excellent idea. Now to start cleaning up this place so I can put up my Christmas tree this weekend! I'm planning to participate in BOTH the Sew, Mama, Sew! Giveaway Day AND the Quilting Gallery Blog Hop over the next few weeks!! Sew, Mama, Sew! Giveaway Day starts December 3rd and runs the whole week! Last giveaway day I won prizes from 2 different blogs! That's pretty exciting for someone who never wins contests. The Quilting Gallery 5th Anniversary Blog Hop Party starts December 9th and runs the rest of the week. Anyone else planning to participate? Any ideas on what to do for the giveaway? Anyone going to spend all day every day of those weeks entering all of the giveaways? I will! Happy belated Thanksgiving, everyone! I have been on the road and visiting family, so yesterday was the first day that I got any sewing done since this weekend! I was lucky enough to email Danny at just the right moment and filled an open spot in the Stash Bee in Hive 4! This month's Hive Mama was Jess of sewcraftyjess and she requested these fun string type blocks. They are so easy to make and GREAT stash buster blocks! I even had some blue and orange striped fabric that fits in perfectly. Did you guess what my secret project was? If you guessed the Harry Potter Project of Doom, you would be correct! My sister did guess correctly and she loves her blocks! I am more than halfway done with all of the blocks already. 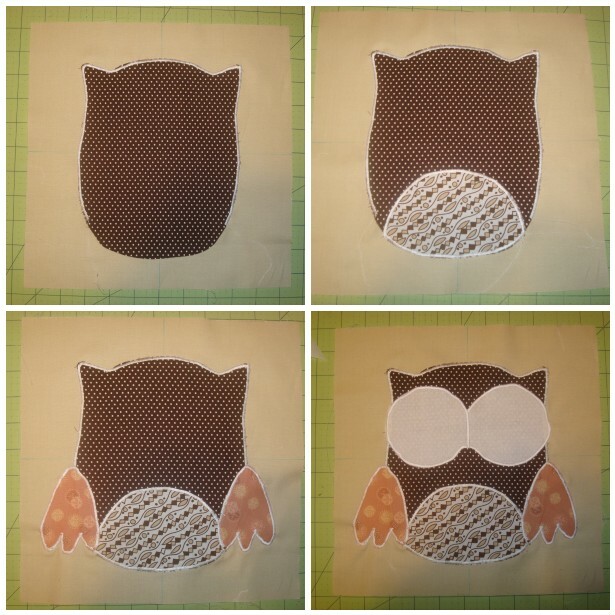 The general consensus is that Hedwig the Owl is my mom and sister's favorite block so far. Off to paper piece some more until I have to leave to go back to Park Ranger Boyfriend's tonight! So it dawned on me last night when I was getting into bed that I hadn't posted in almost a week. Oops. I've been sorting all the strips from the 2.5 inch strip swap I hosted! Everybody got a fun variety in return and none of their own! I already have a plan for the ones I saved. I also started a new paper piecing project. Yep. Another project. But this one is ABSOLUTELY NECESSARY. I'm using scraps/small cuts (at least thus far) and lots of white Kona. So much paper piecing has happened since Thursday that I have a dedicated paper piecing scraps trash can now. But I can't show anything until after I get home. I can tell you it involves a lot of batiks, 10 inch finished blocks, and may or may not involve an owl and a toad. I have not been very productive as of late, which is rather depressing. I did hem a pair of pants for a lab mate, but even that was done somewhat jank-ily. The one thing that I have been working on (finally!) is the hand quilting on Park Ranger Boyfriend's Civil War quilt. It's going slowly, because there really isn't another way to hand quilt, is there? Maybe its just me? Either way, slow progress is better than zero progress. I made up this handy dandy little picture-tracker-thingy in MS Powerpoint to show what I've gotten done. I'm very proud of myself. Until I realize how little I have done at this point. Yikes. And in other news, less than one week until I get to go to see Park Ranger Boyfriend and from there GO HOME!!! Hoooooooooray. This girl needs a break. On Friday I received the fabric that I won from The Quilting Lodge and now I can't wait to find a pattern to use it with! I'm going to try to stitch on it at least a half hour every day so I can actually get it done before Christmas! Here's to a few more hours of weekend left! 100 Day Hustle Update: Halfway There! We are halfway through the 100 Day Hustle Hosted by Kelsey of Kelsey Sews! I am so excited how many things on my list that have been completed in this short amount of time! And to make it even more exciting, there are PRIZES involved! As of October 23rd: backing, batting, and top are layered and ready to hand quilt! Check out what everybody else has gotten done in the last 50 days!